From bijoux bistros to dazzling dining at eateries run by famous chefs, Bordeaux is fast becoming one of the Epicurean centres of the world. 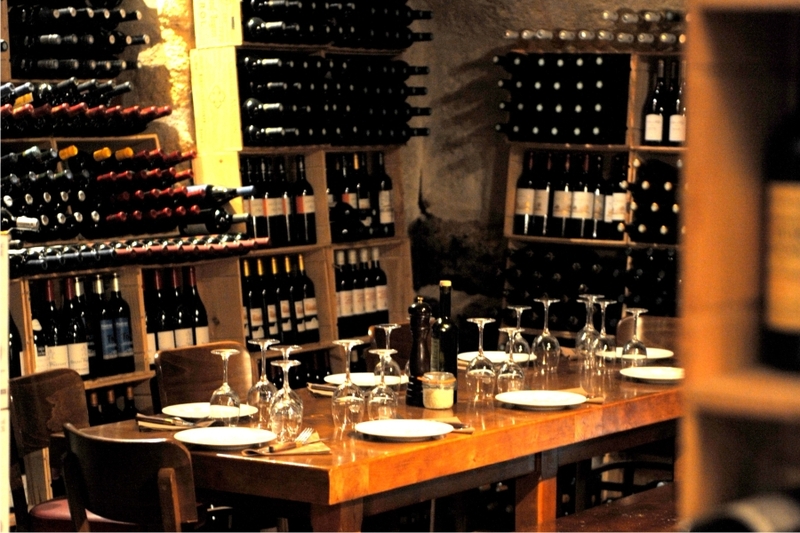 Read part I of our blog on wining and dining in Bordeaux….Part II coming soon! If you’re a foodie with a hunger for fine dining and a thirst for classic wine, you will be spoilt for choice during your holiday here with Greens & Grapes. No longer is wine the sole star of the table! The Bordeaux of today is cosmopolitan and gastronomically adventurous, and the city and its surroundings are well and truly on the map as one of the most interesting food towns in France. Local cuisine ranges from foie gras and truffles to ripened cheese and Atlantic seafood…what more could one ask for after a day’s hard graft (i.e. a good game of golf)! It would be hard to know where to start, which is why, as locals, and self-confessed, obsessed foodies and wine connoisseurs, we’re always delighted to point you in the right direction. If you choose our Par 3: A bite of Bordeaux, 4 days/3 nights holiday break, you will be able to wine and dine like a prince in this beautiful city, but until then, here’s a taste of what you can expect. Bordeaux is a city that takes fine dining seriously. Whether at traditional restaurants serving cuisine du terroir, brasseries, wine bars, or theme restaurants, you are sure to find a meal to your taste. Take advantage of being in Bordeaux to enjoy a Michelin-starred restaurant, the latest Japanese eatery, or an unusual wine bar. Bordeaux will surprise you again and again, and provide you with untold gastronomic pleasures. Belle Campagne for example, occupies a duplex space in the city’s hip Saint Pierre district. With its seasonal menu, which changes every two months, it offers a bounty of food from the south-west France. Cot Rue, not far from the Musee d’Aquitaine, which offers fascinating lessons in the history of Bordeaux and the surrounding region, has a lounge bar atmosphere, despite its elegant crown mouldings. Chef, Rudy Ballin, has a local following for his inventive, produce-driven, contemporary cooking, including dishes like green tea and smoked goat cheese ravioli and quail with mushrooms and fresh curcuma. A new generation of wine bars have been opening in Bordeaux, which are great places for a light small-plate meal. With a convivial and authentic atmosphere, this is a perfect place to chill for a while. Its menu changes regularly but includes interesting dishes like spring rolls filled with lamb and mint, tuna rillettes and ponzu lime. Bordeaux has some pretty fancy restaurants and, in recent months, the city’s eating scene has had an unprecedented, three-pronged boost at its very top end. First, late last year, Joël Robuchon – the world’s most Michelin-starred chef – opened his eponymous restaurant within the mega-luxurious Grande Maison hotel in the city. Last month, Chef Pierre Gagnaire, awarded the Best Chef in the World in 2015, took over from Robuchon, with the view to mix high-gastronomy and “Esprit Brasserie”. From 24th of June La Grande Maison will unveil a new more accessible menu, incorporating the ‘world-fusion’ style for which is reputed worldwide. 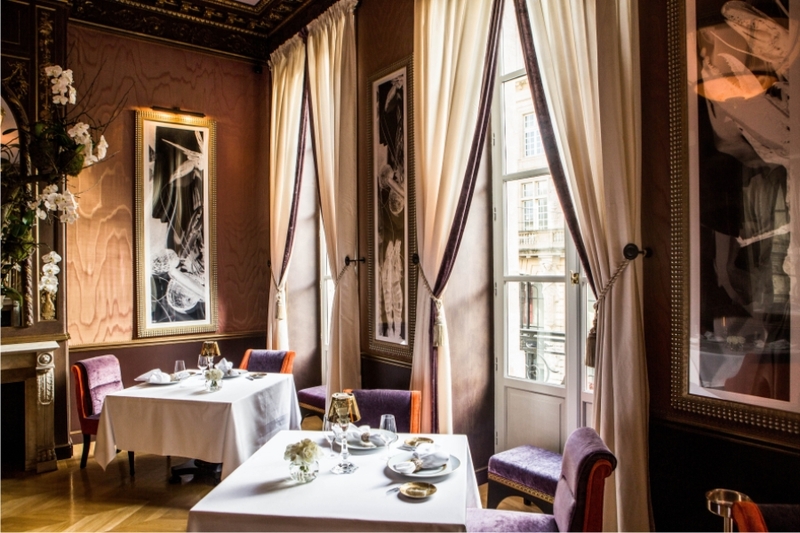 Then, top chef Philippe Etchebest (host of French TV’s version of Kitchen Nightmares) took over the Café Opera in Bordeaux’s Grand Theatre from September 2015, naming it Le Quatrieme Mur. It has been mobbed since it opened its doors. With dishes like poached egg with smoked duck breast in cauliflower cream and orange tart, we are sure you’ll think it’s a winner too. 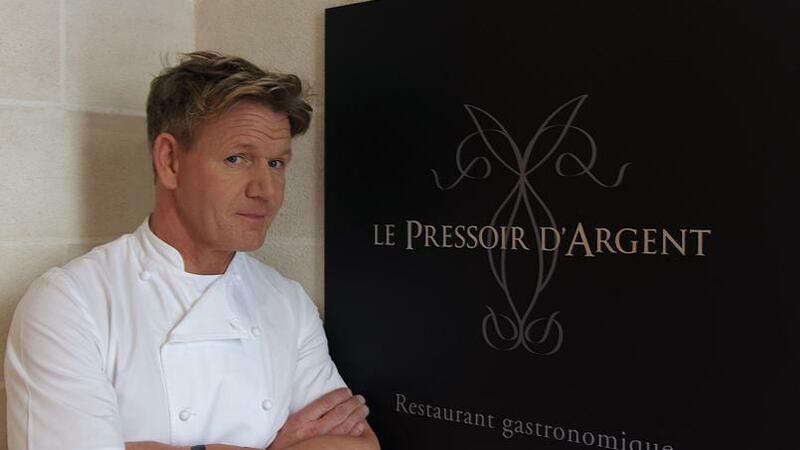 And late last year, original kitchen nightmare, Gordon Ramsay, came to town to direct operations at Le Pressoir d’Argent, the gastronomic restaurant within the Grand Hotel, opposite the Grand Theatre. Read our next blog to find out more about food and drink in Bordeaux. Meanwhile, bon appetite!